This article is about the railway station. For the town, see Sasthamkotta. For the city, see Kollam. Sasthamkotta railway station (Code:STKT) is an 'NSG 5 category' railway station in the Kollam district of Kerala. Sasthamkotta Railway Station falls under the Thiruvananthapuram railway division of the Southern Railway Zone of Indian Railways. [not in citation given][not in citation given][not in citation given] It is coming in between Munrothuruthu railway station and Karunagappalli railway station. The nearest important major rail head to Sasthamkotta is Kollam Junction railway station. As per the latest railway report, Sasthamkotta railway station has generated ₹1.2479 crore (US$170,000) through annual passenger tickets earning during the year 2016-17. 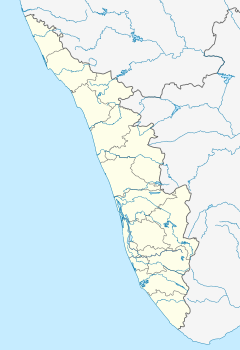 Sasthamkotta is connected to various cities in India like Kollam, Trivandrum, Kochi, Calicut, Palakkad, Thrissur, Bengaluru, Kanyakumari, Visakhapatnam, Mangalore, Salem and Coimbatore through Indian Railways. 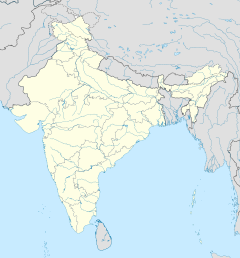 This page was last edited on 3 February 2019, at 01:01 (UTC).